so please CLICK HERE to learn about all these treats! 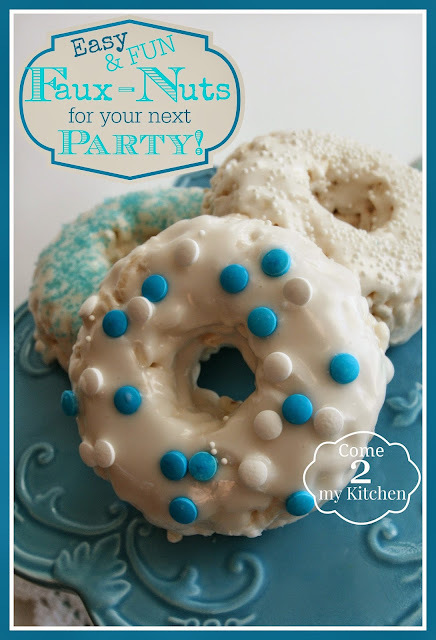 Fun "Faux-Nuts" for Summer Parties and Holidays! What's more fun than Donuts? And WHY are they more fun than regular donuts? 1) No Oily, Greasy mess to make them! 2) Lower in Fat and Healthier! 3) Kids can help make them! No Baking required! 4) They can be customized for Parties and Holidays! Well, you start with a base that is just like a Rice Krispie Treat, only better. How is it better? It's SOFT. And CHEWY. And YUM. What makes these different? First of all, the Rice. It's puffed, not crisped, so the texture is completely different in the finished product. Secondly, I use Coconut Oil and Almond Extract...but if you want to go more traditional you can switch them out. But, the flavor with my recipe...ooh la la!! Melt coconut oil and marshmallows in microwave on high for 1 minute. Stir to combine, and add extract. Pour over puffed rice (in a large bowl) and stir until combined. Shape as desired. *Note: If adding food coloring, it’s best to add it when you add the extract if you want an even coloration. Mixing it in after the cereal is added makes for a very mottled appearance, which may be helpful for certain applications. You can also use spray colors or luster dust to add color and definition. **When shaping, use liberal amounts of cooking spray or coconut oil on your hands, and the spoon when stirring, to assist in the process. I have a "Baked Donut" pan that makes shaping these a breeze. No baking required, just press in the mixture, press down to form the thickness you want, and remove! I found my pan at the thrift store, but I've seen them on Amazon for less than $10.00. If you don't have one, just shape them by hand, or use a combination of glasses to cut the size you want. Frost or glaze with your favorite recipe, and then decorate! 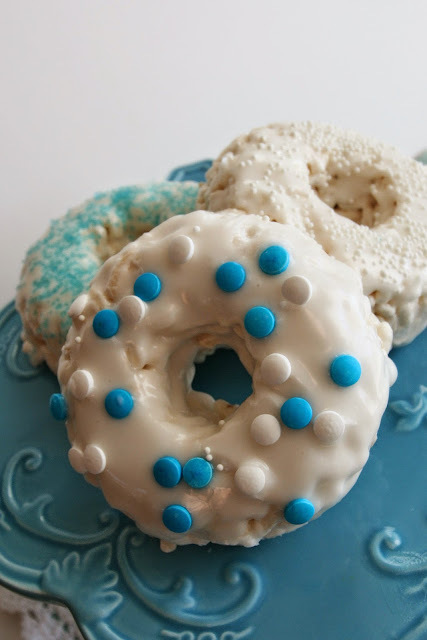 I'm making some for Memorial Day in a week or so...I have some Red, White and Blue sprinkles left over from the 4th last year, and I'll be glazing them with an aqua colored glaze. They are going to look amazing and festive and I know that everyone will love them because they really are tasty! Want more ideas for using Puffed Rice to make shaped treats? Check out THIS post! 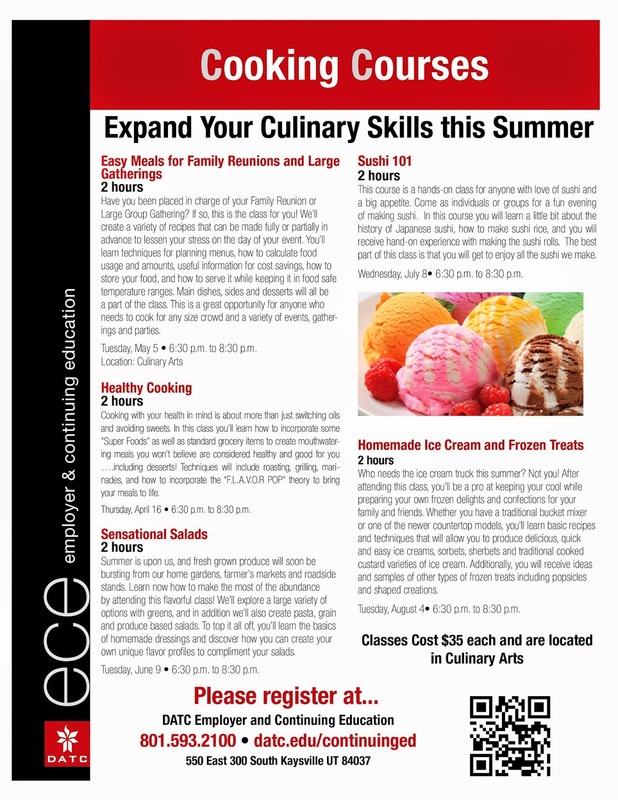 If you live in the SLC area, you can attend one of my Cooking Classes this summer! I'm not doing the Sushi class, but the rest are mine, plus another one that is not listed here. That class will be "Cutting the Apron Strings" for 16-21 year olds who are leaving mom's kitchen behind! ....and my very favorite is Lemon Thyme. I have it planted in numerous places around my yard. It comes back faithfully every spring, and it usually even gives me fresh growth during the winter. I have to dig underneath to find it nestled under the top dried layer, but I can always find a few blessed and delightful sprigs when I need it's fresh and bright taste in the middle of the cold months. But when Spring arrives, and it flourishes with new and boisterous growth, I love to showcase it in a beautiful and delicious dessert. I have these shown topped with a Lemon Buttercream swirl, but most of the time I make these with a simple lemon glaze. I've included both versions for your pleasure. Enjoy!! 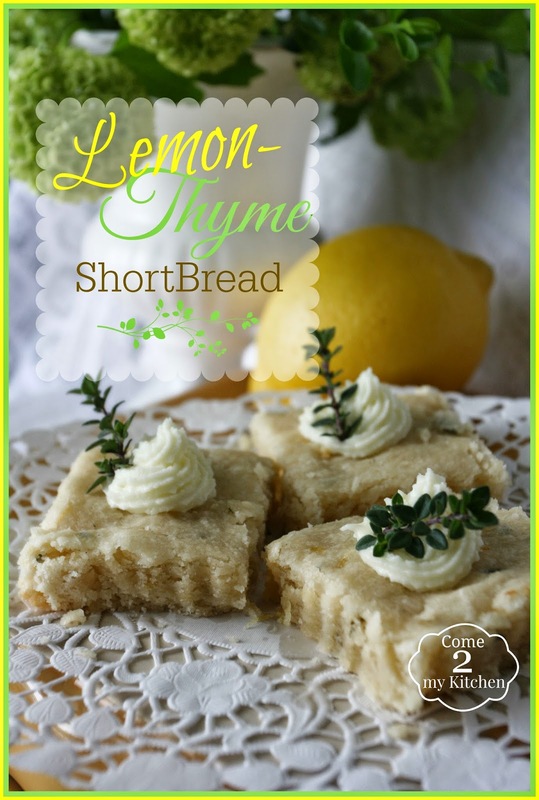 This recipe I created calls for Lemon Thyme, but you can substitute with regular thyme...the lemon flavor will just be less intense. You can also substitute with a variety of other herbs including Basil or Lavender. Have you ever tasted either of them in a shortbread or cookie? 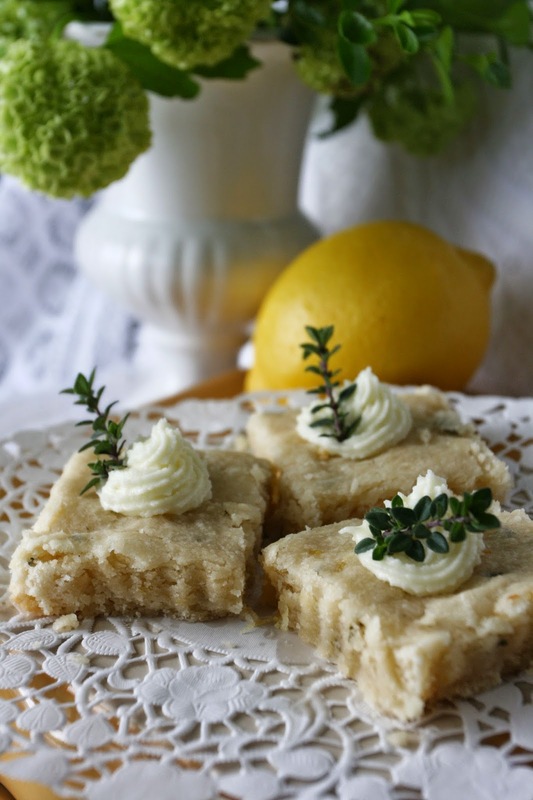 Just like the Lemon Thyme, they add an understated earthiness and balance to the sweet that is exquisite. Cream the butter until light and fluffy. Add the powdered sugar, lemon juice and paste, and blend until well mixed. In a separate bowl, whisk together the flour, leaves, salt and zest until well coated with the flour. Add to the butter mixture and blend until all the dry is incorporated. With slightly damp fingers, press into your desired pan. A ¼ sheet pan yields thin pieces, but it will fit and is a good size for buffet bites. A smaller pan will give you thicker pieces, which are good for gift giving. This makes enough to glaze the shortbread base. Other juice or milk can be substituted for a different flavor. If using milk or cream, make sure to add an extract as well. 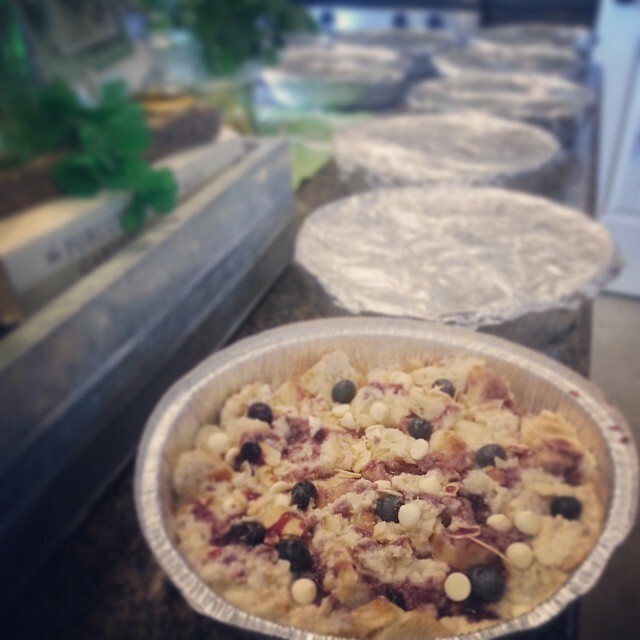 Combine well and spread over the moderately cooled crust (about 20 minutes out of the oven). Allow to rest for an hour after glazing before cutting into squares. This makes enough to give a generous dollop on each piece of shortbread, or top frost the tops only of cupcakes or a sheet cake. You’ll want to double it for other purposes. Cream the butter until light and fluffy. Add the lemon filling and paste, and mix until well blended, scraping the sides as needed. Slowly add the powdered sugar and blend until fully incorporated. Store excess in refrigeration. 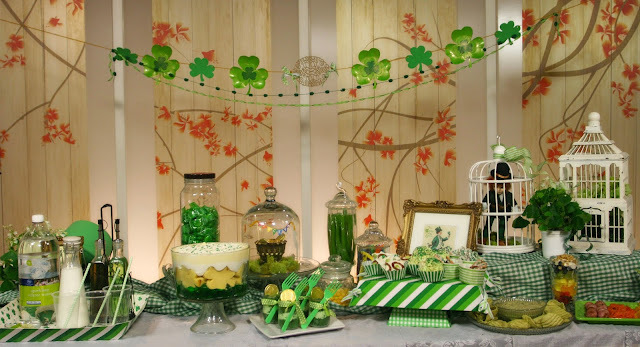 I featured these bars, along with some other beautiful Springtime cookies, in a TV segment for Studio 5 on KSL/Channel 5 last year. You can see them HERE! You'll find additional recipes and photos to inspire a gorgeous Dessert Buffet for your next gathering, party or shower! Would you like to know how easy it is to grow Lemon Thyme for yourself? 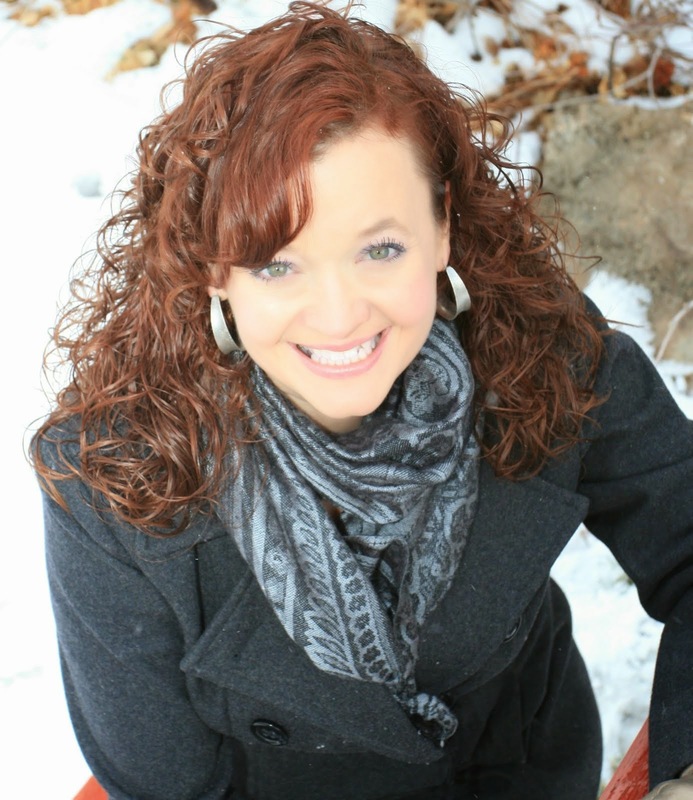 Please visit THIS POST on my creative blog to learn more! If you were to look into my pantry, you would see several baskets and a jar full of Herbal Teas. They have sort of taken over one shelf in there. I counted the other day and I have 29 varieties in total. I sort of went crazy about a month ago when I was working on a "Natural Dyes for Egg"project (click here to see), which just increased my collection. Now I have to reconfigure my storage space for them! 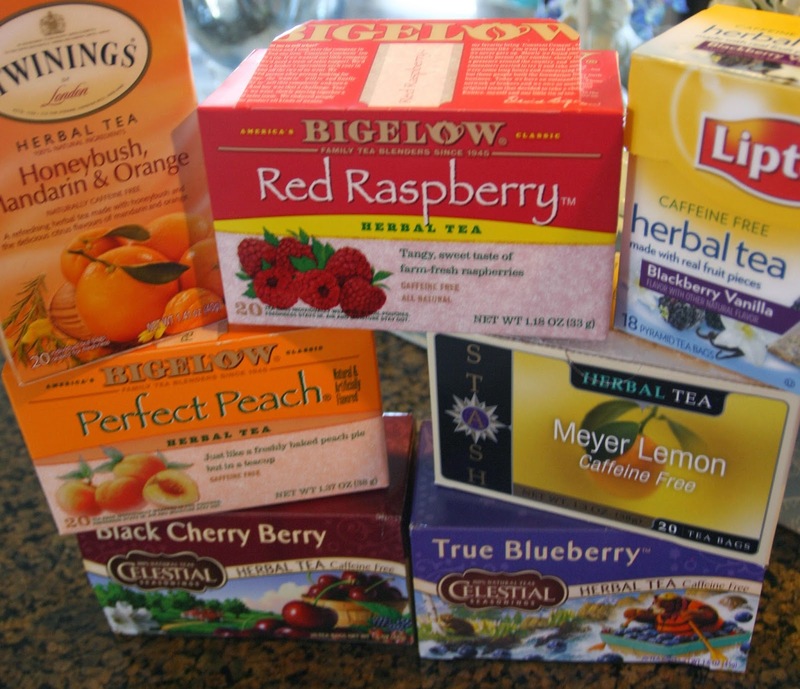 The majority are Fruit or Fruit Blend Teas. I do have a few other favorites, and I tend towards the vanilla/caramel/cinnamon blends for the non-fruit flavors. The ones pictured are my personal FAVORITE flavors of all the Fruit Varieties I have tried. Did you know that Herbal Teas are Calorie-Free?? Click here to continue reading THIS POST! I have a new love. It's heart bleeds red. Well, technically, it's all red. Though some are Gold! Seriously. I NEVER thought that I would say I LIKE Beets, let alone LOVE them. 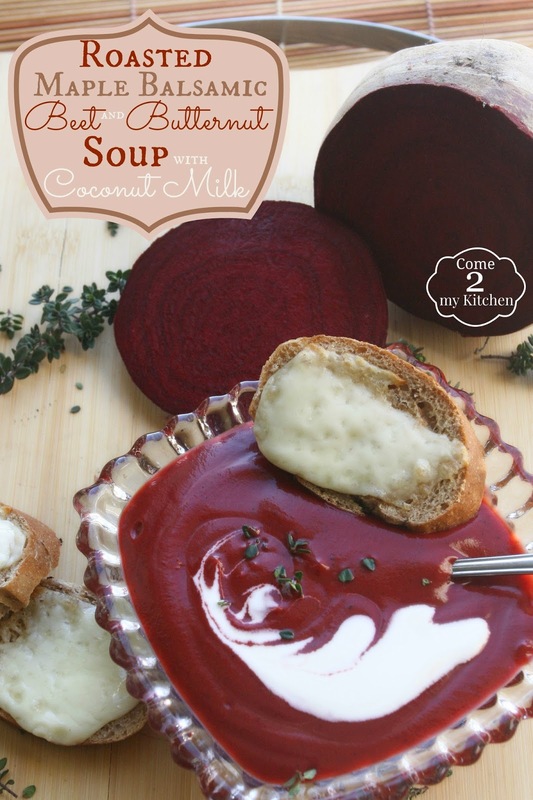 But after making this soup, I have to confess that I now love beets. At least in this soup, I do. You can keep the pickled ones. I am never going to like THOSE. I mean it. That's a whole other flavor profile and I'm just not interested. 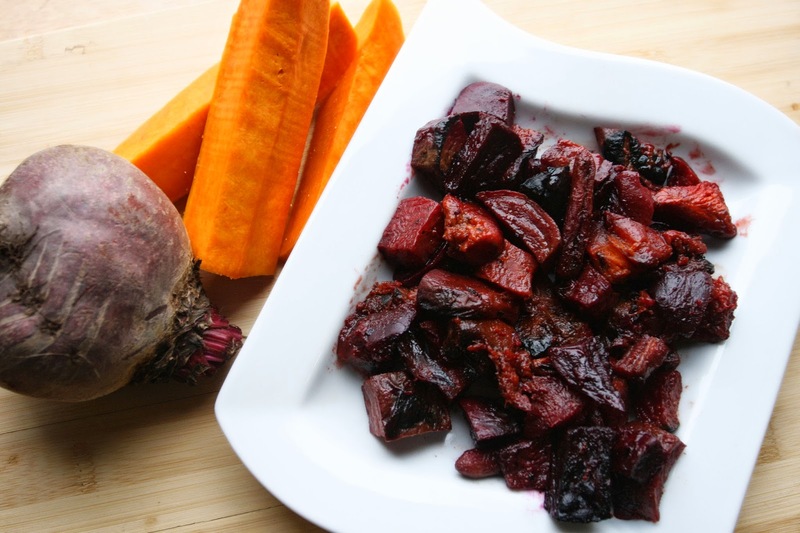 I just want the silky smooth sweet creaminess that Roasted beets have to offer. 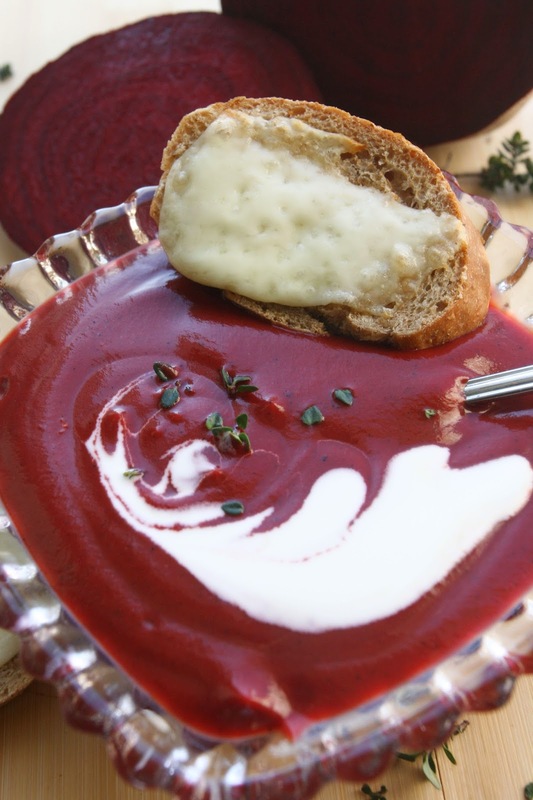 Especially in THIS phenomenal sweet and savory Soup. Even my husband couldn't get enough of it. I was so sad when I'd reheated the last of it. I'm making more this weekend. I must have it in my belly. Normally I would not have gone out of my way to buy beets at the store, but I got some in my Bountiful Basket, and I promised myself I would roast the heck out of every veggie I would normally turn my nose up at. I have found, happily, that I have more greatly enjoyed every vegetable I have roasted. Even Radishes, which is crazy, but they totally change and become as sweet as candy! So I figured beets would have a good chance of becoming palatable for me. While I liked the flavor, I felt like it should have cooked longer. I had done my standard high heat method of roasting, but wished I had slow roasted them for several hours instead. They were a little firm for my liking. When you make them, you can choose between the two methods depending on how firm/crisp you like your veggies. I completely neglected to take a photo of the veggies BEFORE they roasted, and when I tossed them together before serving, everything took on the hue of the red beets (as seen above), even though the other 3 vegetables in the medley are orange/gold. 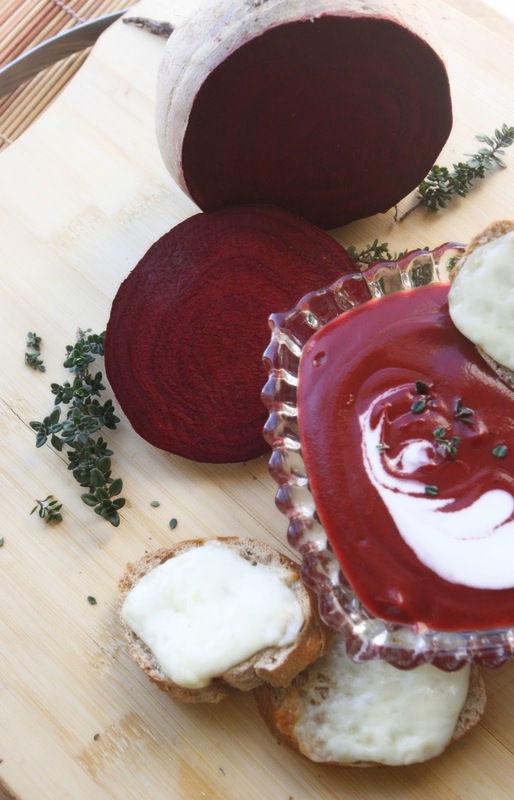 That's beets for ya! They color everything they touch! So here are two recipes for you to enjoy! The first is for the Roasted Medley, and the second is for the soup to make with the Medley. I will only be having the soup from here on out. It's so completely amazing that I must proceed immediately to recipe 2 from now on. But don't think you can skip the roasting and just make this with fresh produce! It will NOT be the same flavor or texture at all! I always use my Baking Stones for roasting. For this medley, I also added a piece of parchment paper for easy clean-up. You can do it on a regular baking sheet, but I would make sure to use parchment or a silpat mat to help with sticking to the pan. Cut the beets and squash into similar bite-sized chunks. Add carrots to mix. Whisk together the remaining ingredients, and pour over the mixture, stirring to blend. Bake at 425° for 30 minutes, stirring halfway through (For a more firm texture). OR bake at 300° for 90 minutes, then stir before placing under the broiler for 5 minutes (for a softer texture). Scatter fresh herbs over the top before serving, if desired. This recipe can easily be halved. Save the remainder of the coconut milk for another purpose. 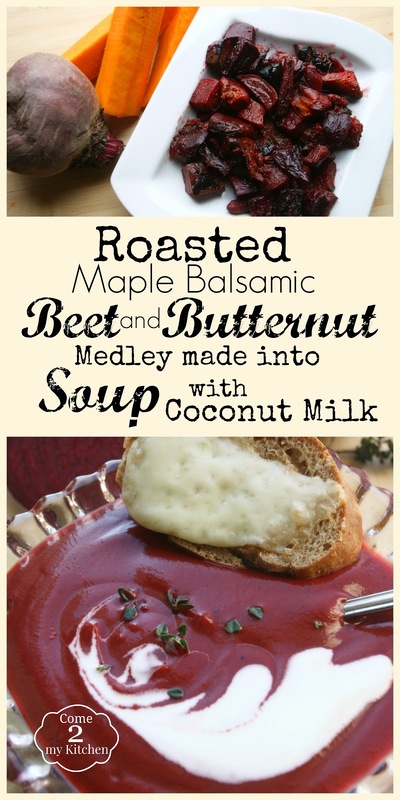 Bring the beet medley to boil in the chicken broth. Reduce to low and let simmer for 30 minutes. Puree with a blender or immersion blender (I used my Blendtec and it really got it smooth!). Add additonal seasonings and the coconut milk. Bring to desired temperature. Serve hot or at room temperature, or even chilled. Garnish with Coconut Cream (skimmed from top of can), Whipped Cream or Cream Fraiche. Fresh herbs, croutons or cheese toast is also a nice touch. I've decided that this soup will be PERFECT for shooter cups at my next party. I think this soup will be on my appetizer table menu forever. And Ever. Amen. Also, I added a new spice that I've been experimenting with: Sumac. It is very lemony. If you don't have it, you can substitute some lemon juice or zest for the acidic element.